CUSTER, Wash. - Steve and Sarah Pabody never planned on becoming farmers. In fact, they moved to Western Washington for Steve to pursue a job opportunity in sales and IT. LYNDEN, Wash. - Over 200 miles of stream in Whatcom County have been restored by farmers and their partners in conservation. LYNDEN, Wash. - In mid-August Jeff Littlejohn noticed something strange. He lives near the Double Ditch stream a bit south of the Canadian border. It’s time that farmers let you know what we’ve been doing to keep this the best place possible to live by providing real environmental action and leadership. ​It’s not just empty talk. 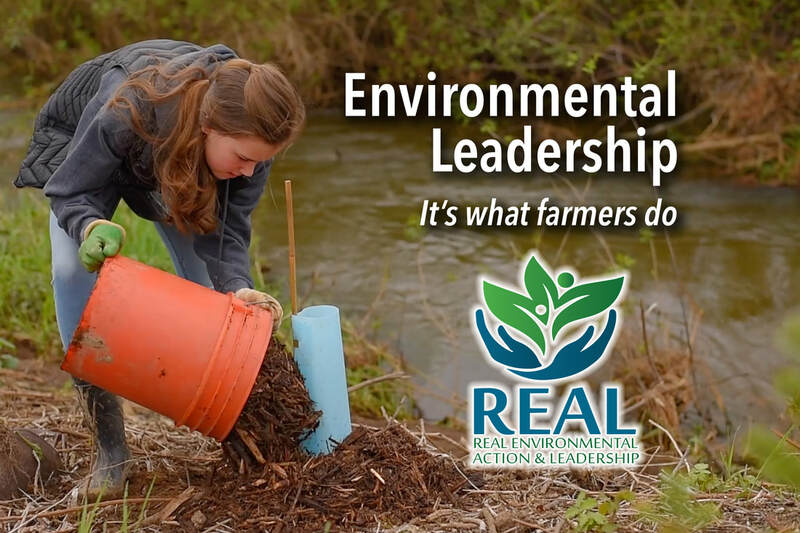 It’s REAL: Real Environmental Action and Leadership.